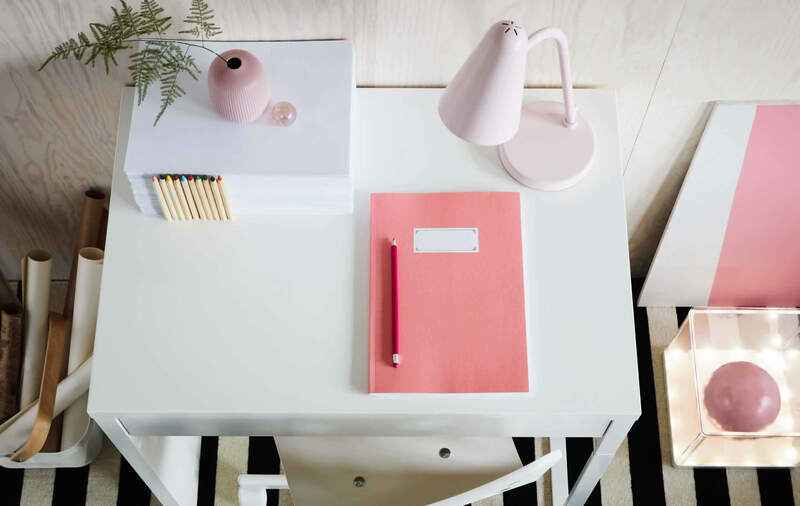 Create an inspiring work spot for kids by updating their desk with a new theme. 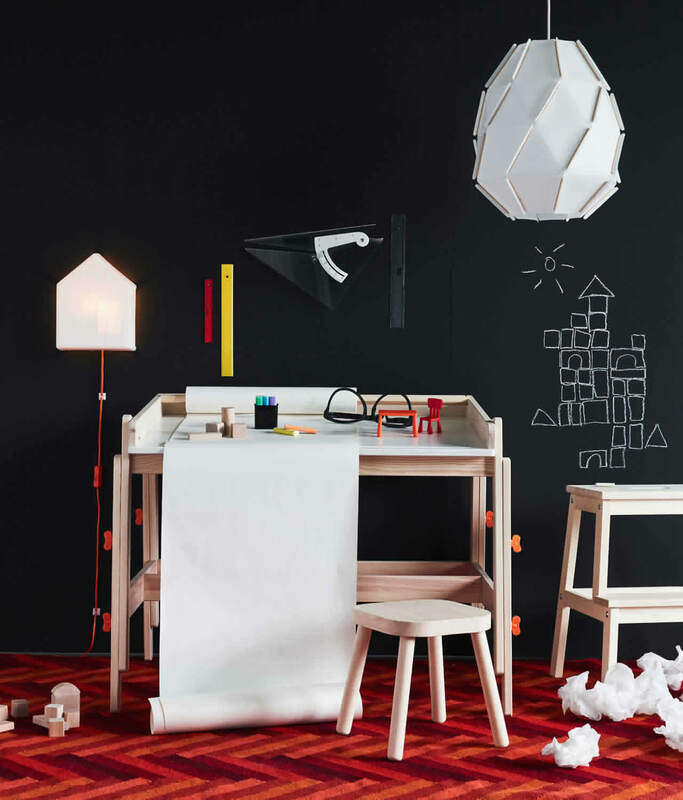 We know it’s a bit funny to talk about deco trends for the little ones, so take our trend report with a pinch of salt. Use natural textures and neutral tones as a base for an arts and crafts feel. Here we used a desk and stool in pale wood that stands out against the black chalk wall. Inject some energy with a couple of bold brights. A colorful rug with a zigzag pattern completes the look. Choose a neutral color like white for bigger pieces of furniture and add a bold monochrome rug to mark the space (this one has a soil-resistant wool surface that’s easy to vacuum). 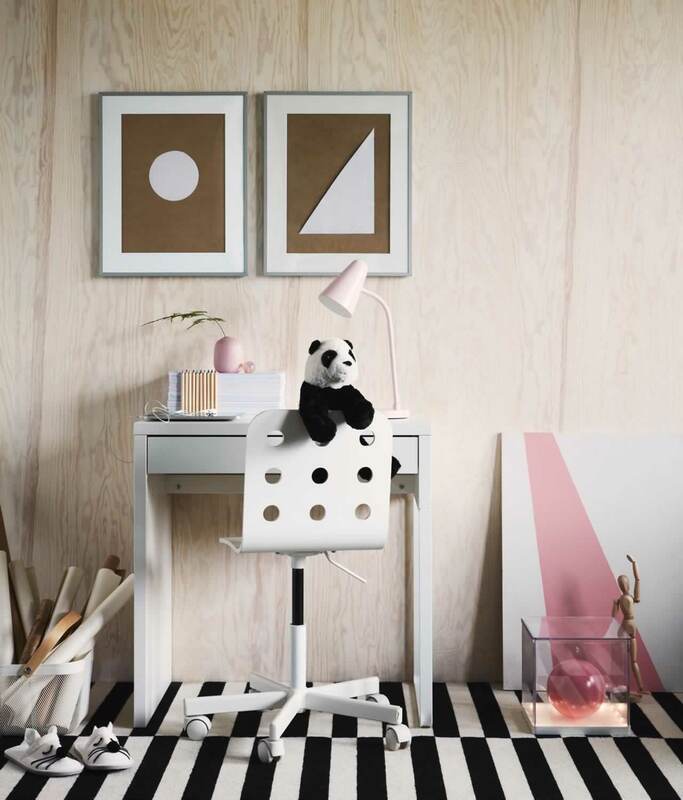 A few powdery pastels will soften the look – we went with shades of pink and light wood. We got inspired by the space trend and used deep dark blue hues contrasted with crisp white to depict the universe. 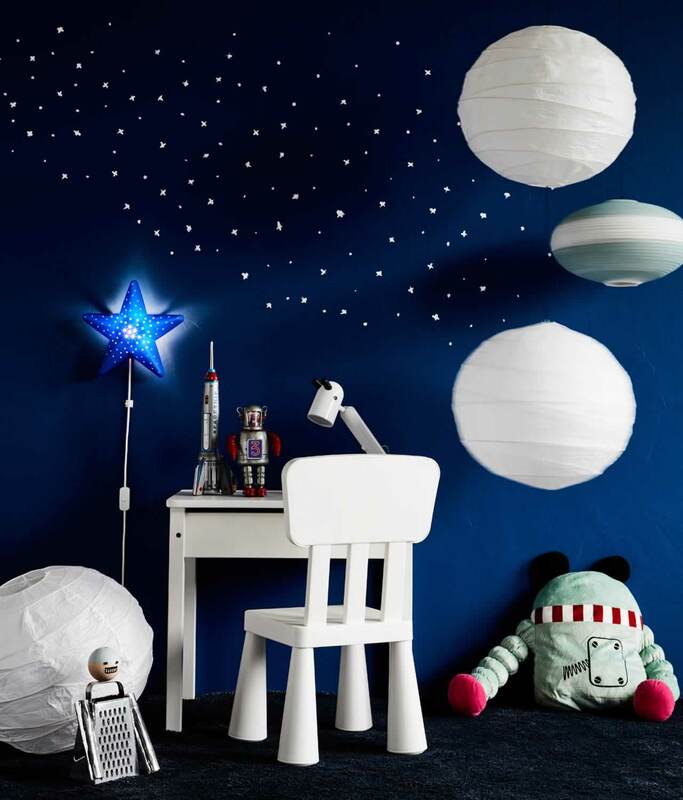 To heighten the celestial look we painted small star shapes onto the wall and added a few planets (ordinary rice paper lampshades).